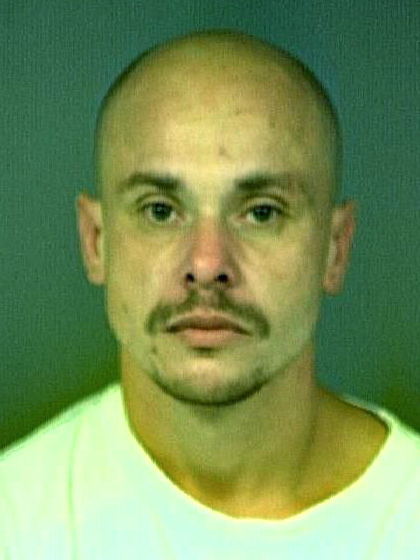 The Arcata Police Department is asking for citizens’ help in locating Raymond Jonathan Eacret. Eacret is being sought in connection with an armed robbery that occurred at the Alliance 76 Gas Station near the Westwood Center area of Arcata in the early morning hours of Saturday Aug. 27, 2011. Eacret is currently on parole and has an outstanding warrant for his arrest for parole violations. Eacret was recently imprisoned in the California Institution for Men in Chino. He and his mother, Sheila Eacret, a Westwood-area resident, have had run-ins with the law over methamphetamine use and other problems. Anyone having information as to Eacret’s whereabouts is encouraged to call the Arcata Police Department at (707)822-2428. This entry was posted on Wednesday, September 7th, 2011 at 7:54 am	and is filed under News. You can follow any responses to this entry through the RSS 2.0 feed.